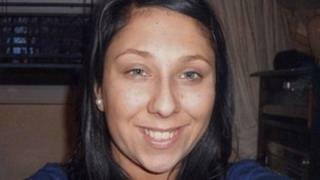 The brother of former EastEnders actress Gemma McCluskie, whose torso was found in a London canal, is to stand trial for her murder. Tony McCluskie, 35, admitted her manslaughter during a hearing at the Old Bailey, but his plea was rejected. He claims to have "suffered loss of control" leading to the death of Miss McCluskie, 29, on 1 March. McCluskie, of Pelter Street, Bethnal Green, east London, denies murder. His trial is due to start on 14 January. The court heard that an expert on amnesia is expected to be called by the defence. The torso of Miss McCluskie was found in Regent's Canal, Hackney, east London, on 6 March. More body parts have since been removed from the canal. A trial had been due to take place last month but had to be delayed when Miss McCluskie's head was discovered in September. Judge Gerald Gordon said the trial must not be further delayed as "the family must have closure". The actress played Kerry Skinner in the BBC soap in 2001. She was last seen on 1 March, at the opening of the £650m Royal London Hospital in Whitechapel.